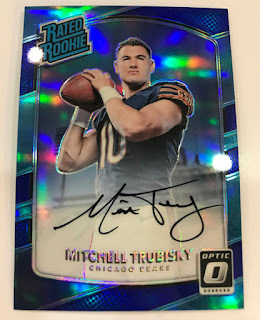 Move over 2017 Prizm Football. There's a new sheriff in town. 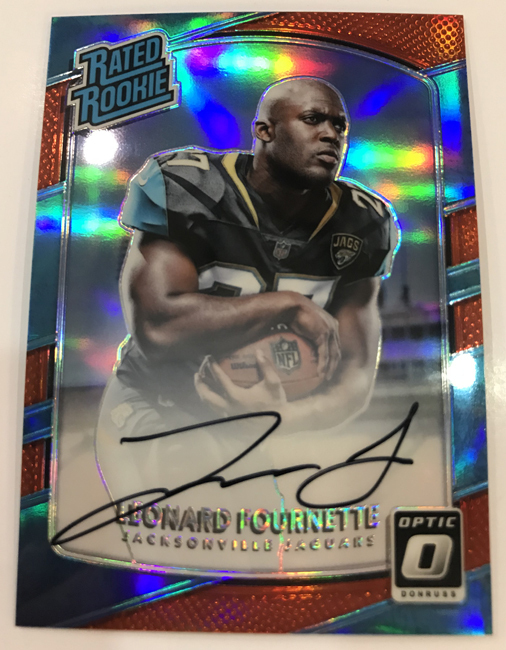 Prizm Football and Prizm Basketball have quickly become the product of choice for "rookie collectors" across the nation. And especially in the case of NBA Basketball, Prizm Basketball is in such high WORLD-WIDE demand that Hobby Boxes of Prizm Basketball have gone to places never thought possible. 2017 Donruss Optic Hobby Football is scheduled to hit the Sports Cards Plus shelves on Wednesday. Pre-pay for your box TODAY for just $79.95 before box prices go crazy. 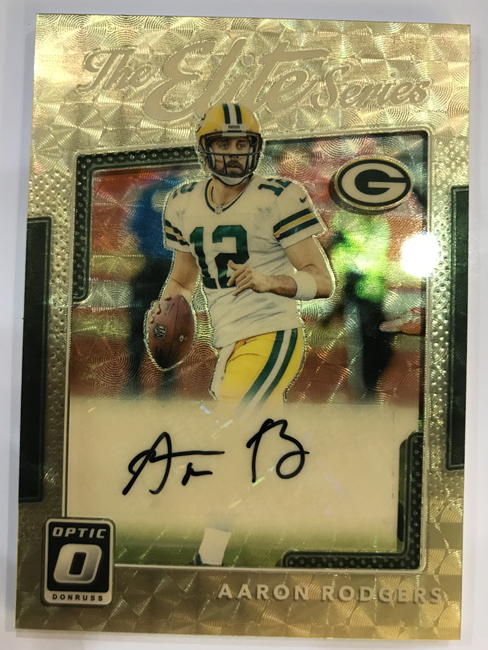 2016 Donruss Optic Football is currently $125 per box, so go to Sports Cards Plus TODAY to reserve your box. 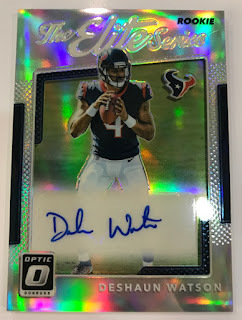 It’s a phenomenon that began a few years ago when members of the Panini America Product Development Team decided to give the company’s flagship Donruss brand an Optical infusion. 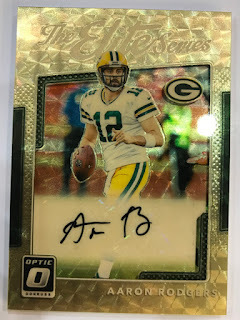 The wildly successful years since have watched the Donruss Optic brand continue to dazzle collectors across every sport it enters, from baseball to football to basketball. 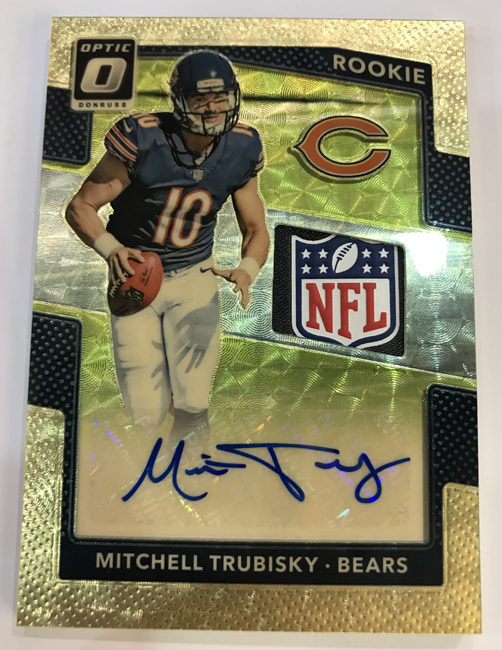 The dazzling is sure to continue this week with the arrival of 2017 Donruss Optic Football, a robust, colorful, Prizm-powered reimagining of the base 2017 Donruss Football release that helped kickoff the 2017 season. On average, each hobby box of 2017 Donruss Optic Football (four cards per pack, 20 packs per box, 12 boxes per case) will deliver one autograph, 10 Rated Rookies, 10 Rookie Cards, 10 Holo parallels and four inserts. In the revealing Quality Control Gallery that follows, we showcase the many brilliant aspects of the product. Oh, and be on the lookout for random Hot Boxes that deliver up to four autographs per box. 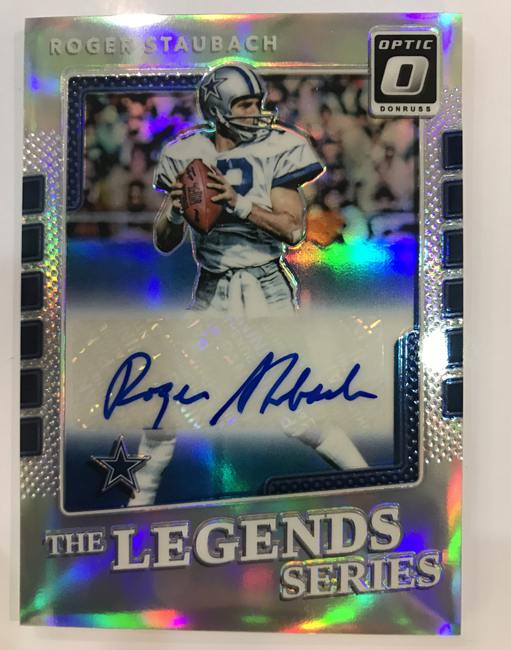 2017 Donruss Optic Football ($79.95 per box) combines the retro vibe of the year’s regular Donruss release with the modern shininess that comes with all things chrome. The main set adopts a similar look to 2017 Donruss Football. While it’s a new look to the year, it’s one that has elements from the Donruss baseball releases of the 1980s. This being a chromium release, of course there’s a parallel rainbow. Here, they’re in the form of Holos. Colors include Aqua (/299), Orange (/199), Blue (/149), Red (/99), Purple (/50), Black (/25), Gold (/10), Green (/5) and Gold Vinyl (1/1). 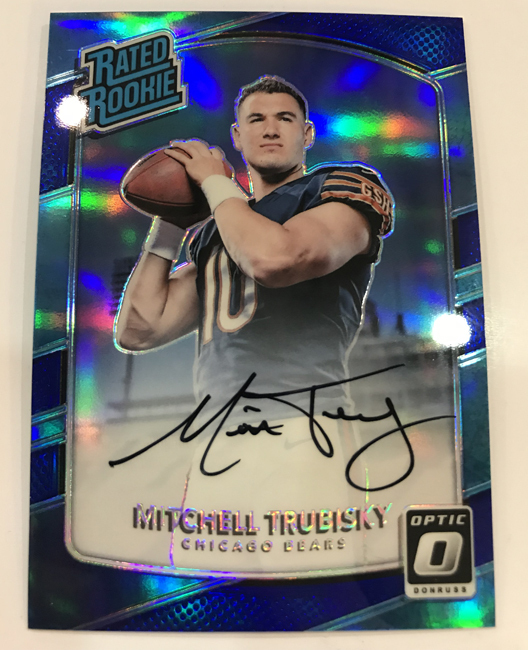 Rated Rookies Autographs highlight the signed cards in 2017 Donruss Optic Football. 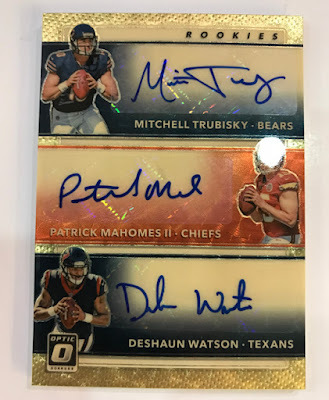 Featuring on-card signatures, cards have no more than 150 copies each. The colors carry over here with a variety of parallels. 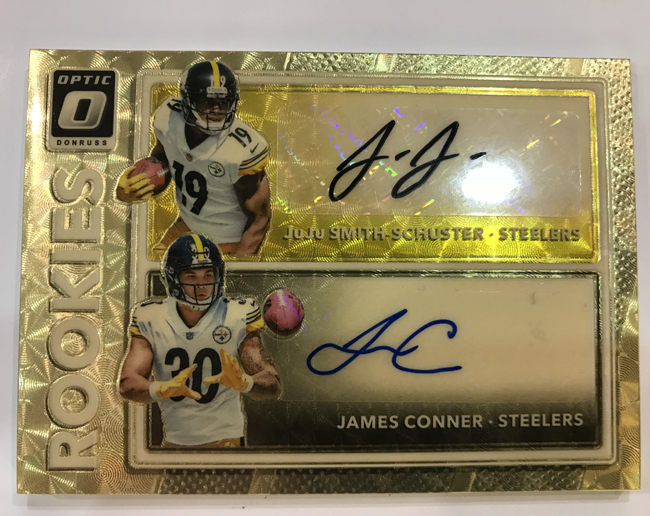 Much more scarce are Rookie Patch Autographs, which have no more than 20 copies each. Rookie Dual and Triple Autographs live up to their names and are signed by multiple first-year players. 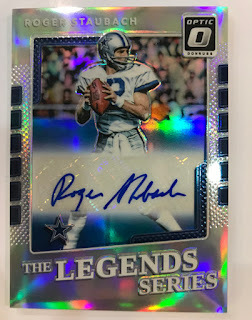 Veteran and retired signatures are in Gridiron Kings Autographs (/10 or less), 1981 Tribute Autographs, the Hall of Fame-themed Inducted Autographs (/10), The Legends Series, and The Elite Series. 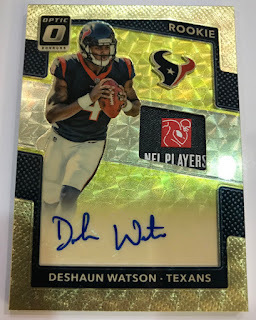 2017 Donruss Optic Football has no shortage of other inserts. AKA highlights some of football’s notable nicknames. Illusions is another name, and a new one at that, collectors can find.